We have obtained a very good copy in HD formate. 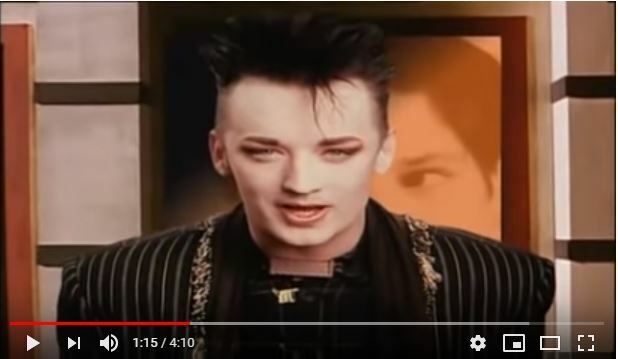 Now we're not sure if Youtube will delete this but we will also have this up on BoyGeorgeFever Facebook page to view as well. Let's start, shall we? Ok, the music video you may be asking yourself what is so different about it? 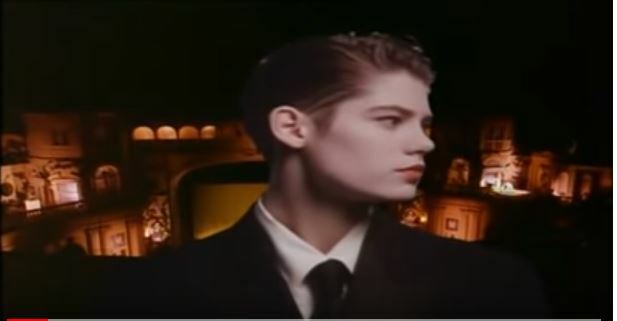 Well, first this is the first original cut for the music video and at the time George did not like the way he looked so some of the scenes were redone. 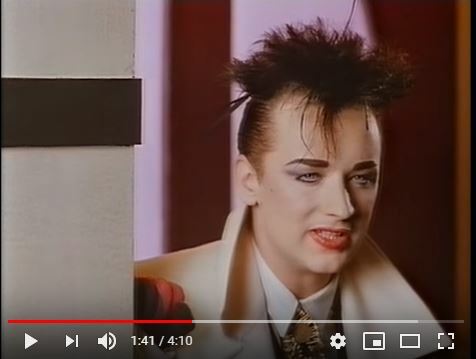 This Alternate cut had Boy George filmed first at the Brixton Academy more and he is wearing a completely different outfit. Take a look. Some of the movie posters are different from the band members wearing different outfits. 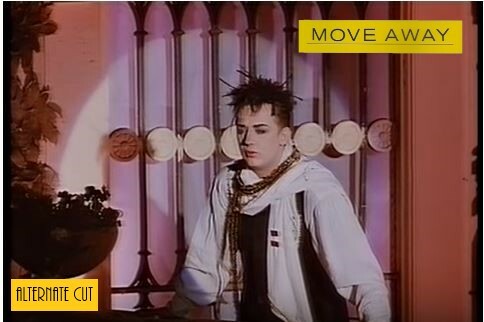 The Culture Club Move Away music video was directed by Willie Smax who spent two very long days directing the video with them. George and Willie had many different ideas that he wanted to do, some were done and some were cut out. 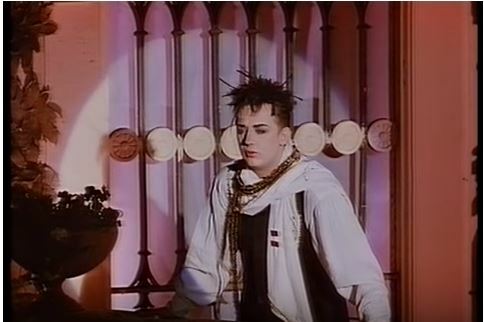 Culture Club spent many hours there doing many different takes and many costume changes for this video. We have gone through the entire video to give you a comparison with the original video vs the alternate director cut version. 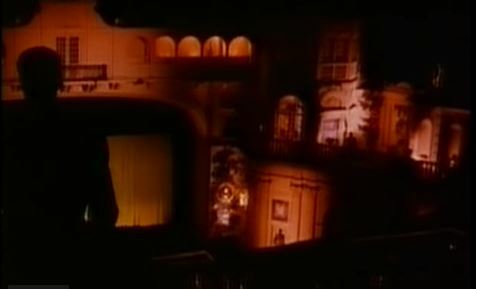 The beginning of the music video starts off completely different video camera on an angle towards the left side of Alice walking in, whereas in the original video she is seen walking in the middle of the theatre. 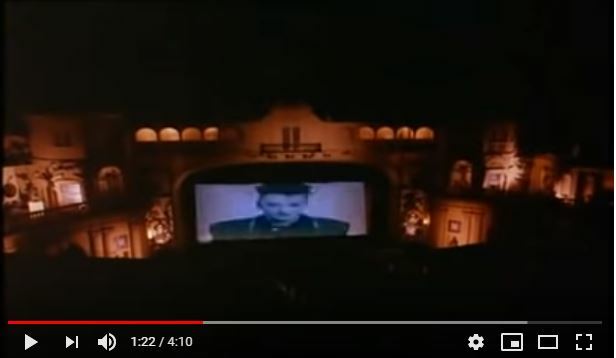 Original video Alice Temple is seen walking in the middle of the theatre. Alternate directors cut we see Alice walking but towards the left side of the theatre. 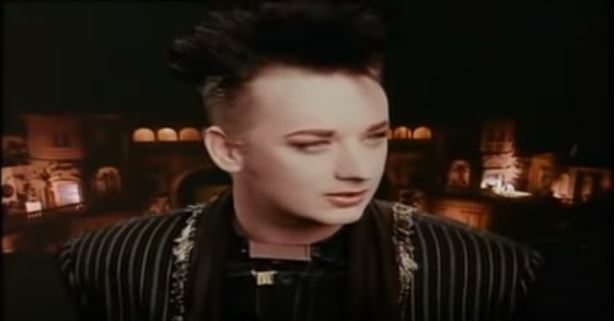 The next shoot in the original video we see an up-close shot of both Boy George & Alice Temple appear on the screen. George is wearing a black outfit. These were the re-shoots that George wanted to have done. 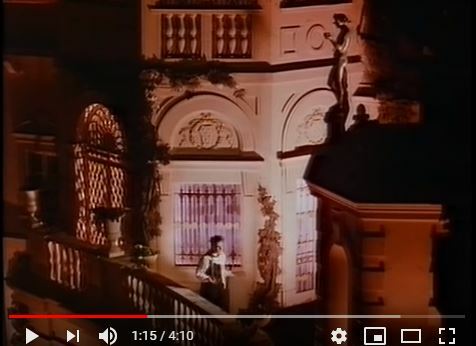 In the alternate directors cut its a completely new scene and different shot of Boy George on the balcony looking down and more footage of him on the balcony is used. This is a new outfit that was not used in the original music video. 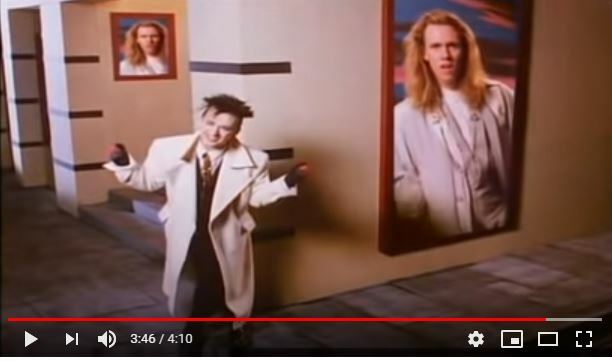 In the original video, we see George at the 1:15 mark wearing his black coat. 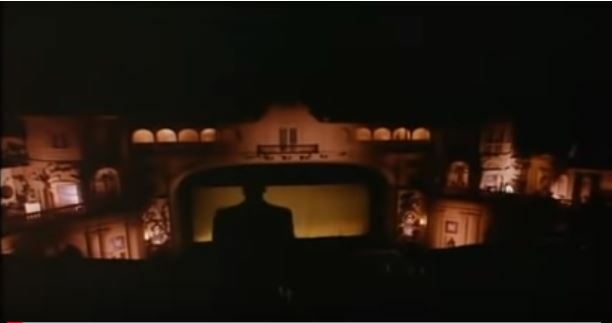 In the original music video at the 1:19 mark we see George on the balcony next to a statue which we then see him on the movie theater screen. 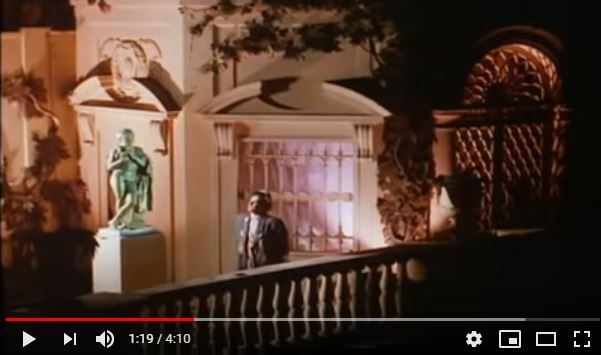 In the alternate directors cut its an almost like a new scene where George is much closer to the statue singing there more. This is the next scene where the movie posters start to change and different ones are used throughout the video. 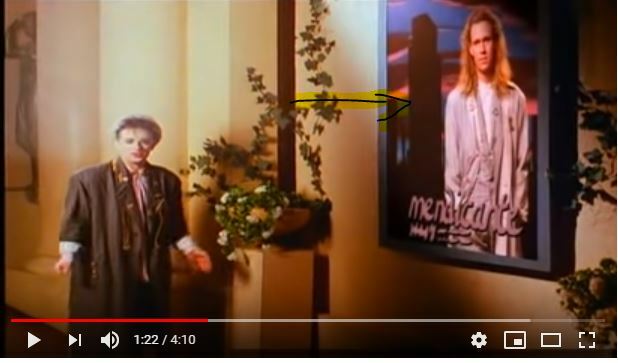 As we move onto a new scene in the Move Away music video in the original music video we see George next to a Roy Hay movie poster. 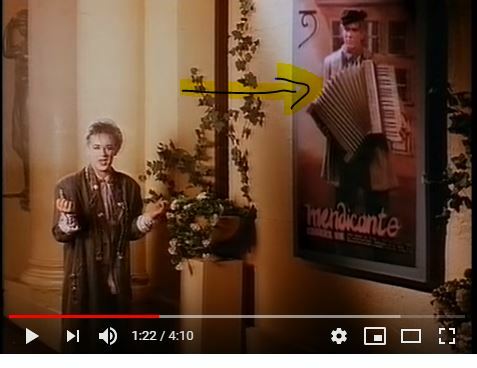 In the alternate directors cut the poster has been changed to Roy Hay playing the accordion. 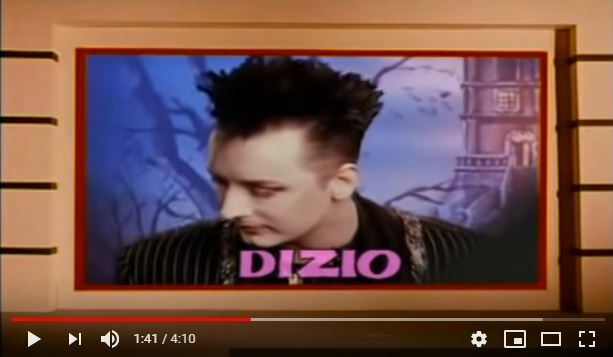 In the original video, we see Boy George on the movie poster with the word DIZIO at the 1:41 mark. 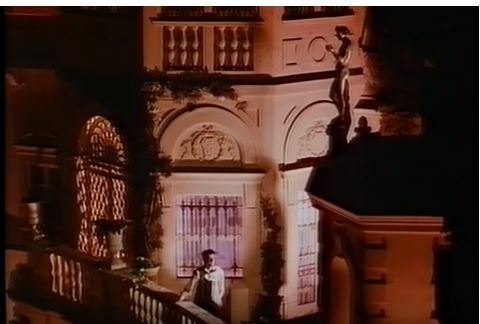 In the alternate director's cut, we have a completely new scene of George coming out of the theater singing outside. 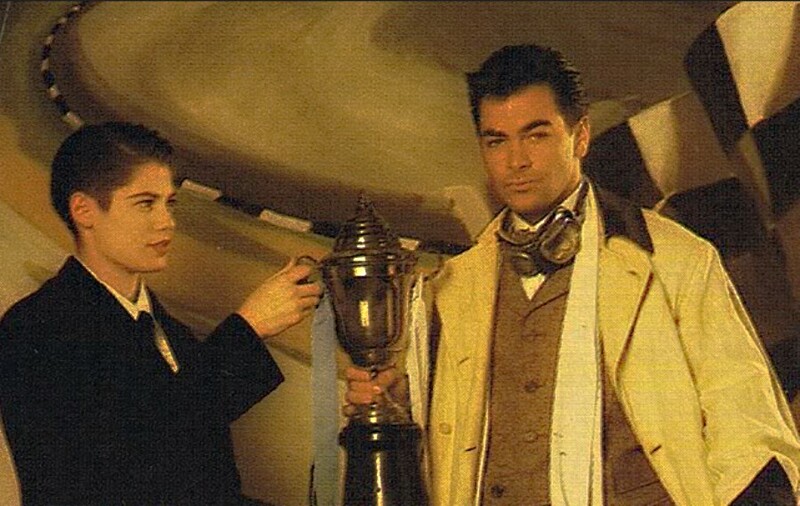 This is a brand new scene that was cut and not featured in the original music video. 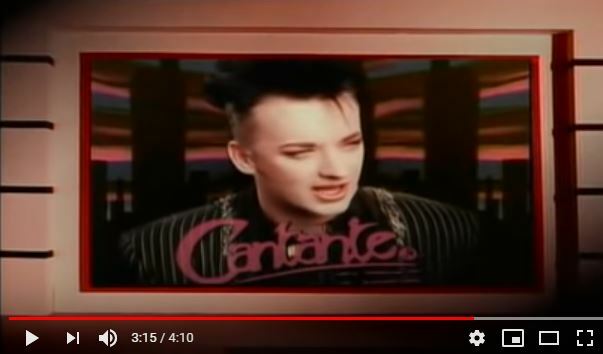 In the original music video, we see Boy George as a movie poster coming to life with the heading as Cantante. 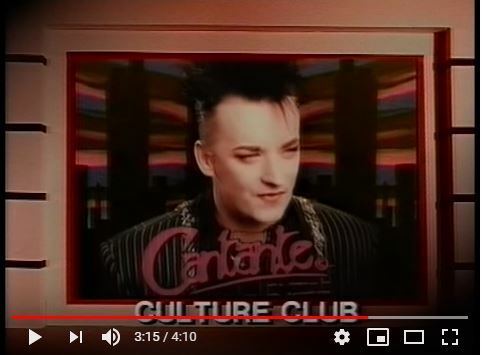 In the directors cut we see Boy George with Cantante but with the Culture Club logo which was removed from the original version. 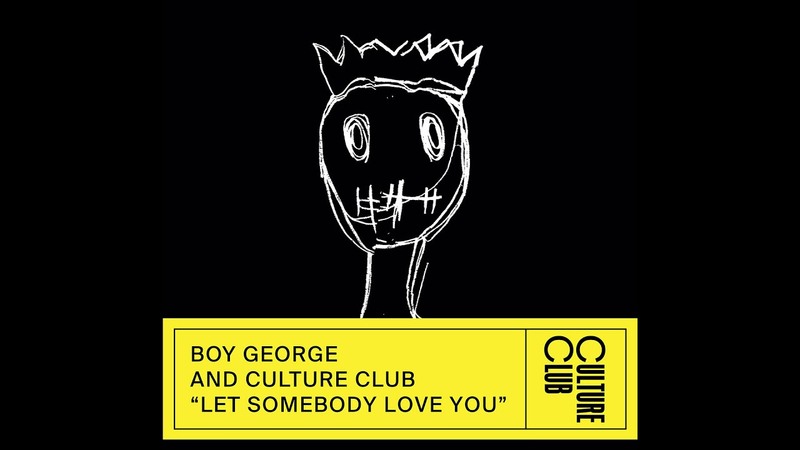 In the final scene in the music video in the original version, we see Boy George dancing behind the Roy Hay poster. Notice Roy is wearing a grey suit. 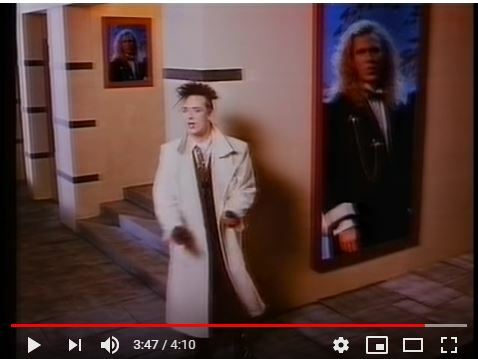 In the final scene in the directors cut Boy George is dancing behind a Roy Hay poster and Roy is wearing a black outfit. Are you excited now to see this?